Sony Xperia Neo V is a mid-range attractive device, otherwise a typical Android that totally worth its money. Like any other device, your Xperia Neo V will occasionally develop hiccups that require your attention. A common way and the most effective one to get rid of those disturbing unresponsive applications, keypad/touchscreen problems or endless software errors is to perform a hard reset. The method is also recommended if you forgot your password or you simply want to erase all data before selling your device. If you find yourself in this situation, this article will be a helping hand in overcoming your problems, showing you the steps to reset your device. Nonetheless, performing a hard reset has its drawbacks such as you`ll find all your internal data including photos, contacts, music erased at the end of the process. So as you may have already figured out, performing a back-up before moving on with the procedure is essential. At the end, the device will be restored back to the factory settings. 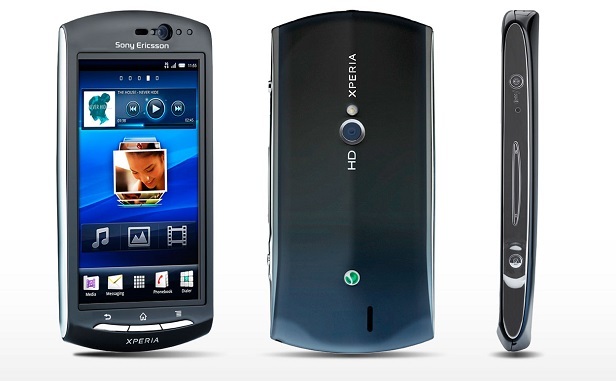 Sony Xperia Neo V has a relatively low price but at the same time it is well equipped. With an attractive design, the Xperia Neo V is comfortable in the hand because of the curve of its back. The phone runs Android’s Gingerbread which makes it quick and smooth to use. The 1500 mAh Li-Po battery is highly satisfactory. The image quality is fine considering that the phone has a 5MP camera and a 0.3 MP front-facing camera. Nonetheless, the lens cannot focus on images that are too close. The Xperia Neo V comes with pre-installed applications that are meant to make your life easier and enjoyable such as Gmail, YouTube, Google Maps and Android Market as well. Go to the main home screen and press the menu button. From here, choose Settings and then Privacy. Now press on Factory data reset then tap Reset. Lastly, press Erase everything to confirm. Restart the phone and everything should be OK from point on. Hold the Volume Down button. Wait a minute until the menu showing these options appears: Fastbook, Recovery, Clear Storage, and Simlock. Then, press the Volume Down button to choose Clear Storage. Next, press and release the Power button and wait for the Sony Ericsson Xperia Neo V to restart. If you choose YES, all data will be deleted from your Sony Ericsson Xperia Neo V including third-party applications. The Sony Ericsson Xperia Neo V will now be back to the factory settings.